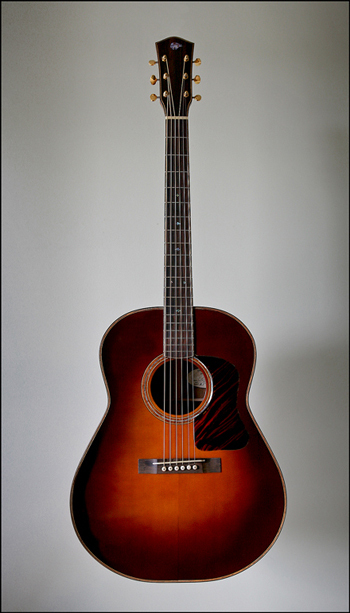 The slope shouldered jumbo is based on the Gibson Advance Jumbo of the mid to late 1930's. Using many of the specs of the original,this is a great guitar for all playing stylmes. Volume and tone are the primary objectives in the construction of this model.